Plastic surgery has been a booming business for years. Going into the history books you would most likely find the ancient procedures that were done. No, the Greeks and Egyptians were filling their chests with silicon or saline. They were creating initial practices of a global phenomenon, however. With all this nipping and tucking how can you afford it? Typically, procedures, a breast lift, for example, can cost about $4,377. When you are planning to change your body, you want to make sure you are going to the best, so sometimes you may have to travel to your surgeon. After you calculate all your expenses and include your downtime, you could wind up spending thousands for that new chest. These numbers are exacerbated when you have bad credit. 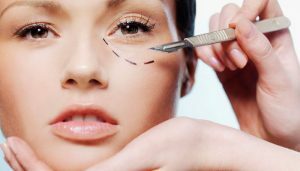 So how can you afford plastic surgery with bad credit? Well, you could finance your surgery. It may sound weird, but just like you can finance a new home or car you can do the same that new nose. Using unsecured financing route to cut some of the cost. Believe it or not, there are a couple of online companies that can help you. When you are applying online you will have a better chance at getting a loan that will fit your specific needs. Depending on the service you use, you will probably have multiple hits from different lenders. You also do not have to disclose what type of procedure you are getting, as well. Getting plastic surgery can be a very stressful thing. 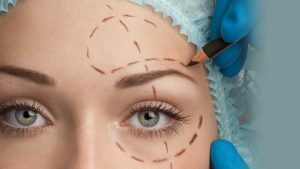 Going through with plastic surgery with bad credit can make it a nightmare especially if you are communicating through a computer. Most of the time you will receive prompt service and will know within a few days if you are approved for a loan. A speedy process is welcomed, but some people need human interaction. You may feel like you need to have 44 DDD bra size, but after talking with the person that is handling your loan face-to-face you could change your mind. You could potentially save more money just from listening to another opinion. If you are trying to get plastic surgery with bad credit, you also need to take your credit score into consideration. Yes, you will be able to get a loan with bad credit, however, you will most likely have a higher interest rate. For example, if you have a credit score of about 640 your interest rate on your loan could be about 26.5 percent. If you are thinking of going the secured route most likely you would have to use some tangible collateral for your loan. For some people, this may be their home or their car. If you wanted to use your home, you would have to use your home equity as a line of credit on the loan. For many people, this could allow them to borrow money easier. You do want to be careful, however, if you default on your loan you could potentially lose your home. Sure, you may have a 653-credit score, but that does not mean you need to worry about it. In some situations, you could possibly use a Flexible Spending Account. With an FSA, you do not have to worry about a credit check or interest rates. You do not need a cosigner or a down payment to qualify for this either. There are a few drawbacks. There are certain reconstructive surgeries that you may not be able to get. Procedures to improve the way you look are usually not covered. Your saddlebags may be ugly, but you may not be approved. With enough research, you should be able to find the right way to finance your next surgery. Most of the time they will not kill your pockets, but you want to make sure the company you are using can cover all your expenses. With enough work, you can afford plastic surgery with bad credit. Most of the plastic surgeries are costly. Besides, females are all the way more concerned than men in getting such procedures. I accept as true that paying the fee is the headache of their husbands, father etc. and no women would like to compromise on her figure.